Earlier this year the DTA embarked on a partnership with the Smart Cities and Suburbs program. Megan Henry talks about how the Digital Marketplace is connecting all levels of government to digital expertise. The Smart Cities and Suburbs program rolled out earlier this year. It sees grants awarded to projects that help solve community issues using smart solutions. To apply for a grant, applicants were required to partner with the private sector. Because of its success working with local councils, our Digital Marketplace was a logical partner to help applicants find the digital expertise they needed to apply. 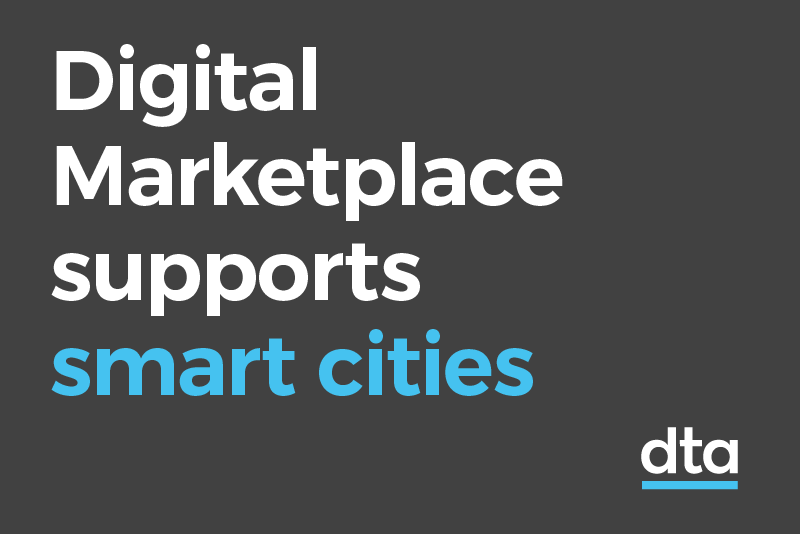 In addition to connecting government and digital experts, we wanted to find a way to better use the marketplace to support ongoing innovation and digital transformation projects. Local councils are geographically separated yet all face similar challenges as they try to improve the liveability, productivity and sustainability of their communities. We ran a period of discovery, roundtables, interviews and workshops with more than a dozen local councils to learn what would help them make more of their digital investment and improve services for residents. Local councils told us they wanted to be able to work together to share problems and lessons learned, as well as stories about user research, system and process improvements, feedback on vendors and pilot projects. The solution was to build an online collaboration space on the marketplace that would give local councils a simple way to share ideas and learn from each other. After the collaboration space was launched, we saw an increase in the use of the Digital Marketplace by local governments to kick off their smart city programs, ranging from smart lighting projects to tracking assets through data. To make the most of their resources, local governments are keen to identify ways to make things better, easier or faster and deliver great benefits. The marketplace simplifies government procurement and joining is easy — just ask the more than 700 sellers and 860 buyers we already have on board. Check out how to register on the marketplace. Congratulations to the local councils who have received funding through the Smart Cities and Suburbs program. We’ll be able to track their progress through the Digital Marketplace collaboration platform. We’re looking forward to seeing these innovative projects come to fruition.